Ramgopal Rao is a serial entrepreneur with 25 years of experience in the ophthalmic pharmaceutical and device industry. Currently he is Chief Executive Officer of 2C Tech Corporation, Inc., an emerging medical device company that is developing a novel nanotechnology application for preservation of vision for patients with macular degeneration and diabetic retinopathy. He was Chief Operating Officer and Director of Vitreoretinal Technologies, Inc., a venture funded ophthalmic pharmaceutical company that developed a drug for diabetic retinopathy. Mr. Rao co-developed an innovative corneal implant device for presbyopia and licensed the technology to (venture funded) Acufocus, Inc. Prior to that Mr. Rao founded Tomey Technology Inc., that pioneered the corneal topography imaging technology that is now a standard of care in eye care. 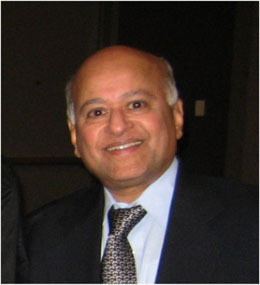 Mr. Rao was President of Ophthalmic Group at Premier Laser Systems, Inc.; a publicly held company. He also held various executive positions at Biorad Laboratories, Inc.